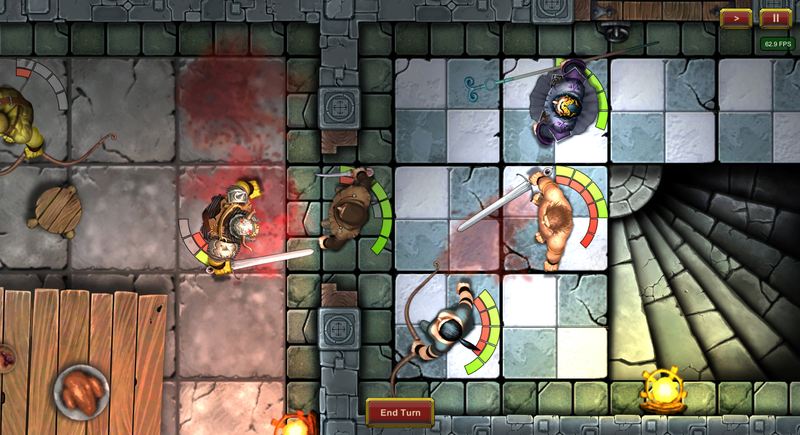 Quest Heroes is a tactical dungeon crawler with board game elements. 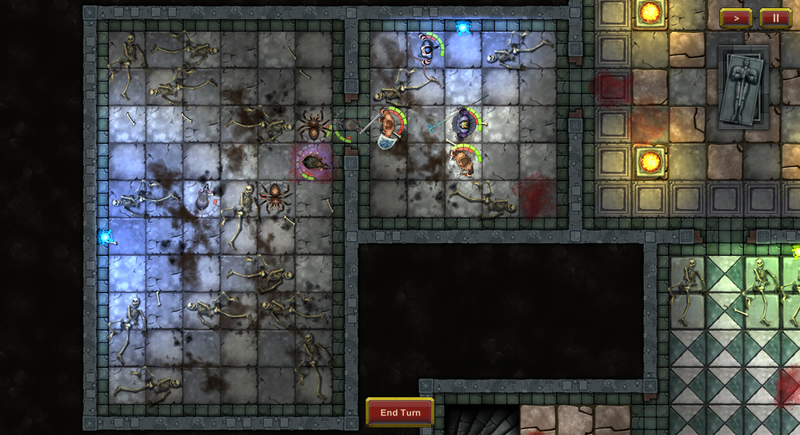 In the board-gaming world, there is a distinct genre: the Team Dungeon Crawling. Almost everybody agrees that the venerable HeroQuest (published 25 years ago by Milton Bradley in collaboration with Games Workshop) is the father of it, and the granddaddy of the adventuring board games we know today. Since then, many others have been released at a pace of one or two a year. Among the latest and most popular are titles such as Descent 2nd ed., Mice & Mystics and Super Dungeon Explore. 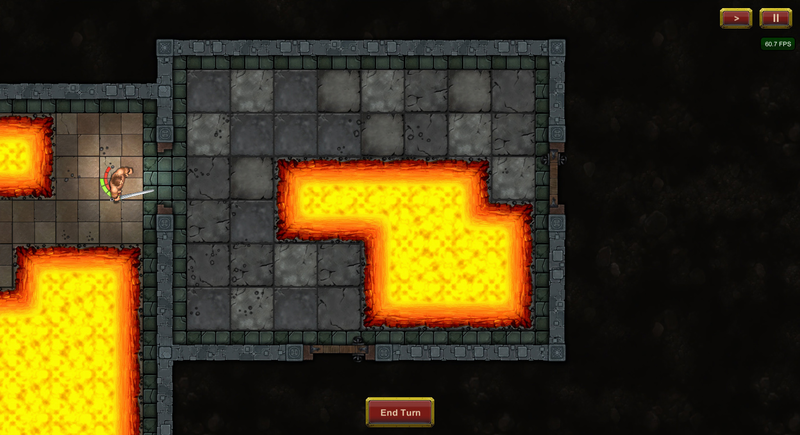 Several more are anticipated in 2015, including Dungeon Saga: The Dwarf King Quest or Abyss: Perdition's Mouth. 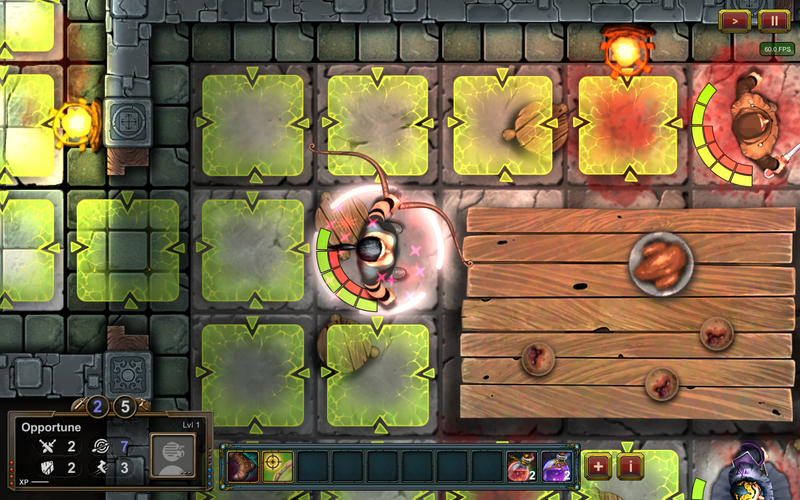 In these sorts of games, players (usually four) each play a different hero. 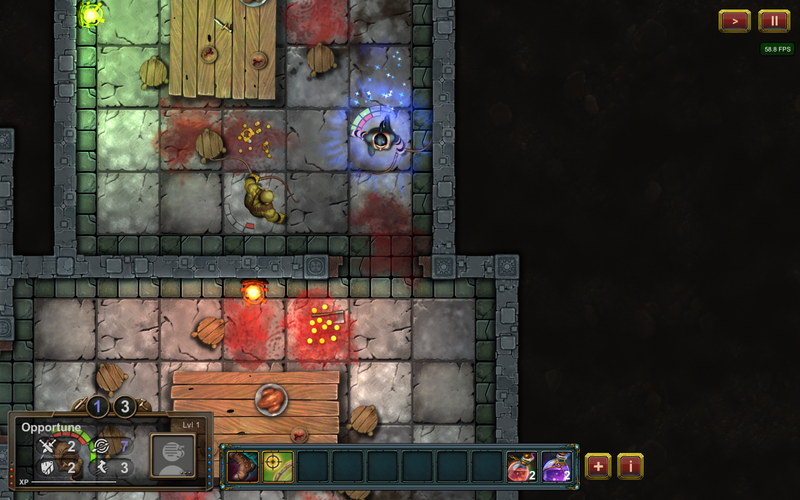 The typical party consists of a barbarian/warrior, an elf/archer, a wizard, and one other member. 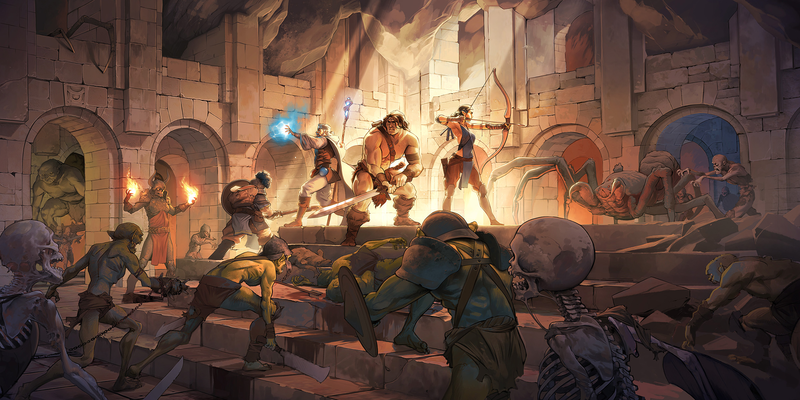 Once the party is formed, the adventurers typically delve into a dungeon for one heroic reason or another, slaying monsters, finding treasure and artifacts, avoiding traps, and dealing with other scenario-specific threats. 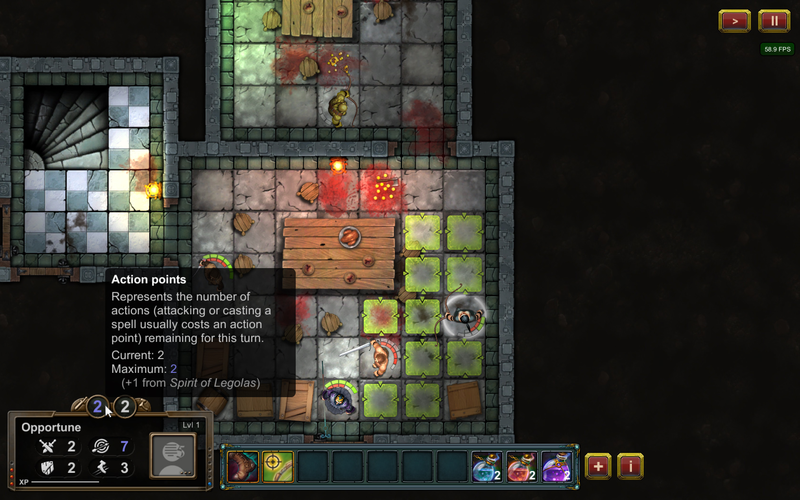 The adventures are turn-based with some old-school pen-and-paper RPG elements that have been simplified for use in a board-gaming context. 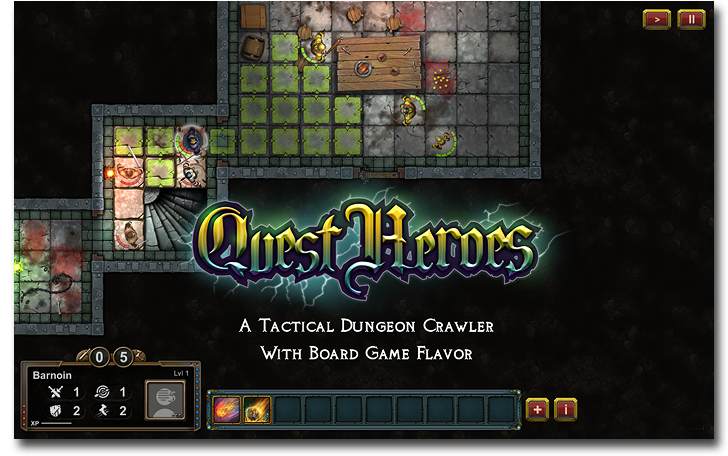 With Quest Heroes, our aim is to fuse all the things we love about this board game genre with the best of the computer and mobile gaming world. While attempts like this have been made before, they've never lived up to our expectations. That's where we come in, because we live by the credo that if you want something done right, you have to do it yourself. 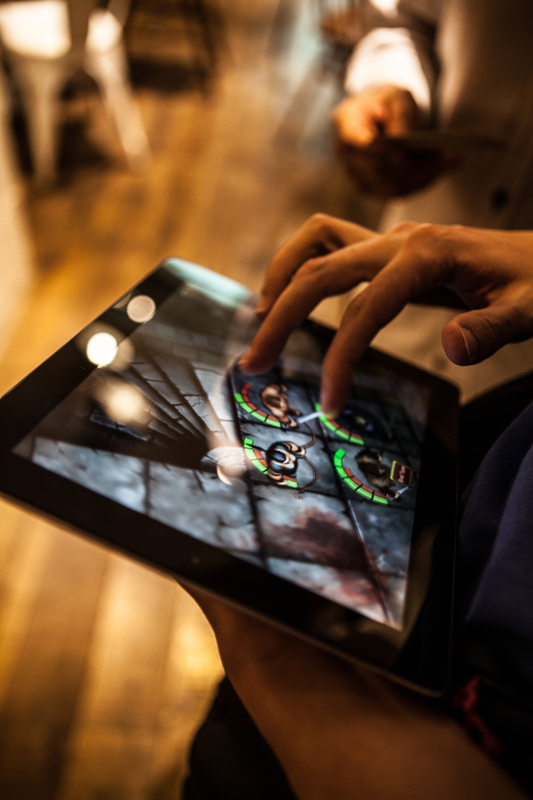 And we strongly believe there are others out there who want to play a game like this. A rule set totally compatible with real life board-gaming. 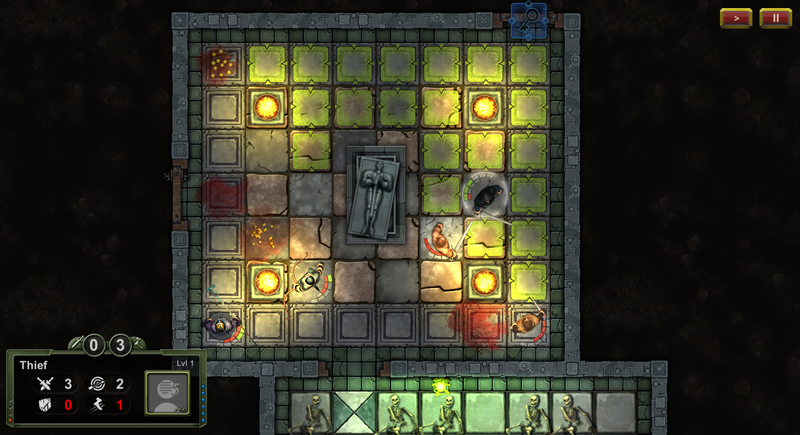 We will release a free print-and-play version at some point of the development process. 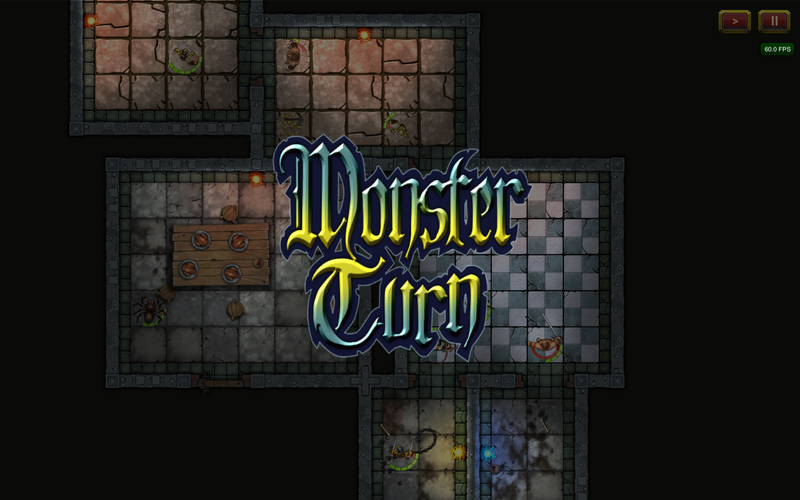 A not-so-serious medieval fantasy world in which, for instance, the mayors are exploiting zombies to clean out their sewers and sending adventurers to teach them a lesson when they go on strike (even the dead feel entitled to at least one day off per week). 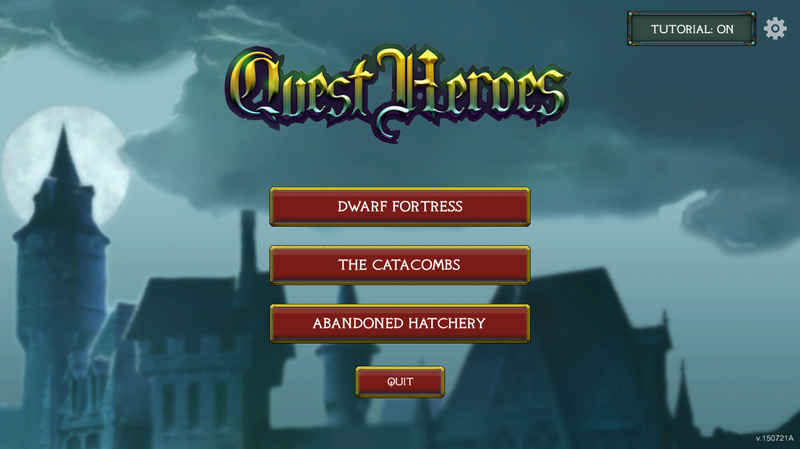 You manage a pool of heroes: before each quest, you select the members of the party. Ultimate party-building freedom. 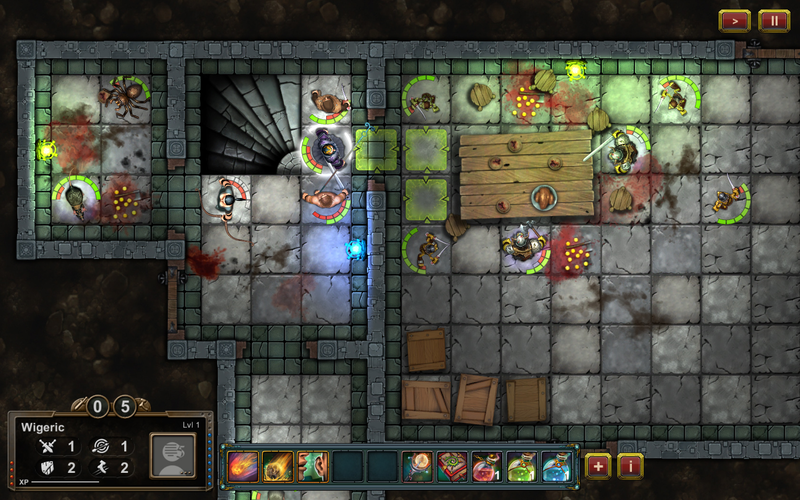 If you'd rather have an adventuring party made up of three wizards and a thief instead of the traditional warrior-archer-dwarf-wizard combo, then go for it! It's totally up to you. No frustrating class-based gear limitations. 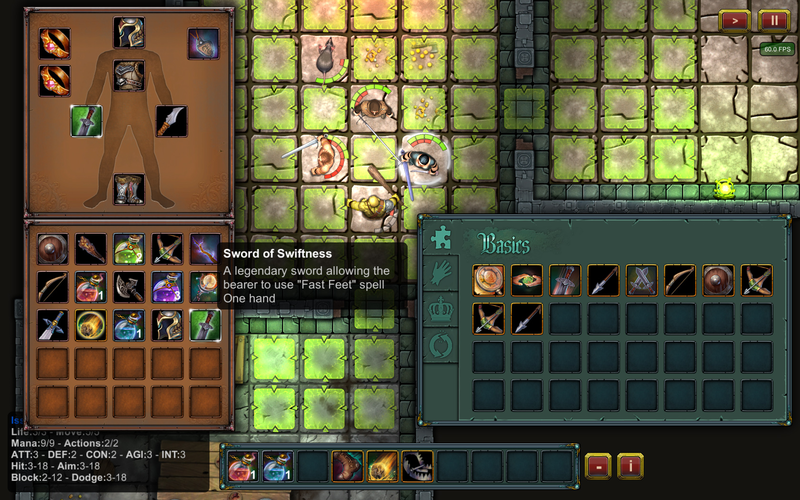 Characters can equip and use any weapon or equipment as soon as they have the required stats, regardless of their class. 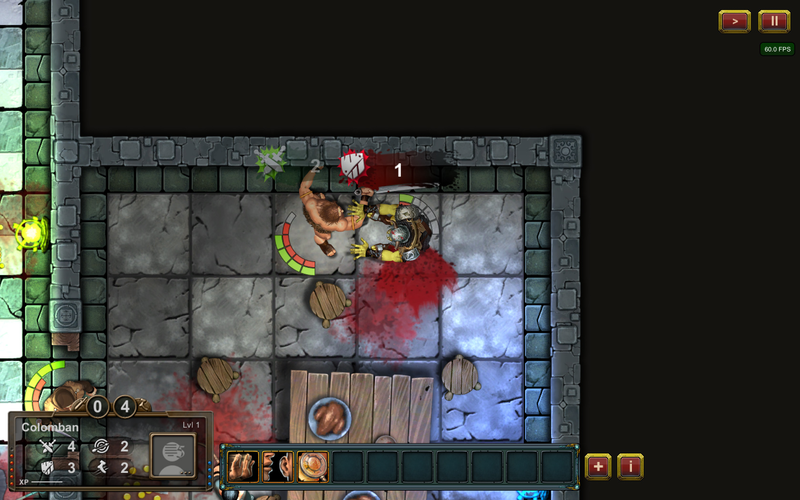 Permadeath. However, there are resurrection scrolls (extremely rare, and usable only right after the death) and you can pick up a dead character's gear, so nothing is ever completely lost. 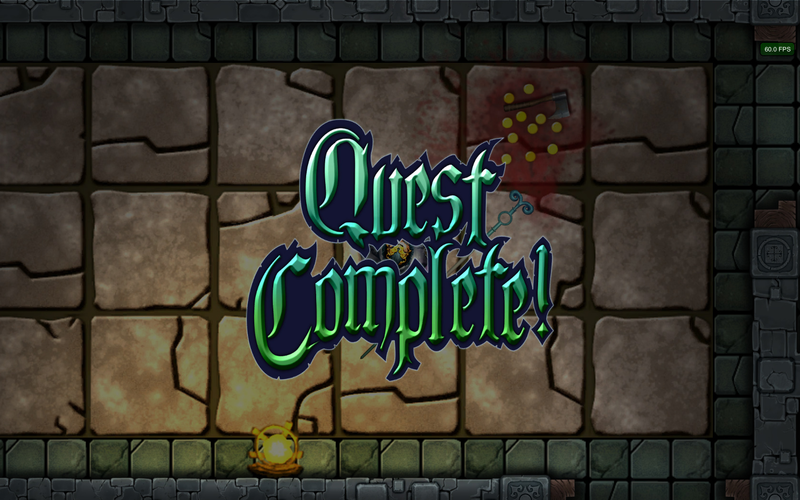 Heaps of magic, monsters, missions, skills and items... indeed. 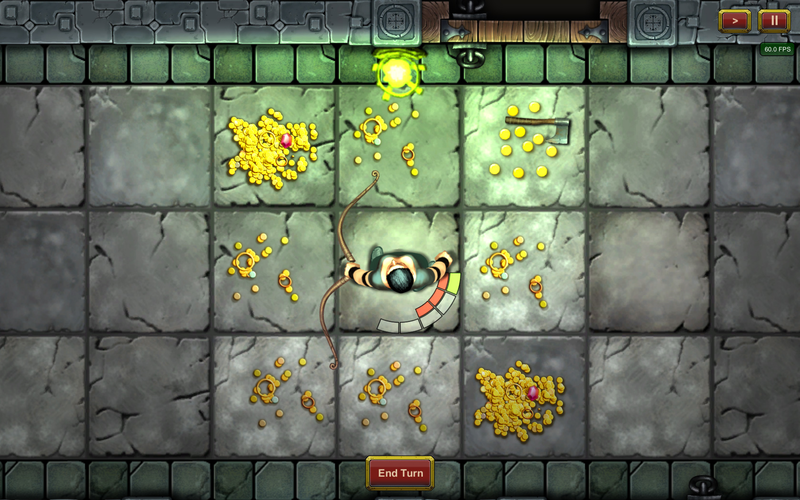 Special rooms with their special tricks, traps, rules and puzzles. 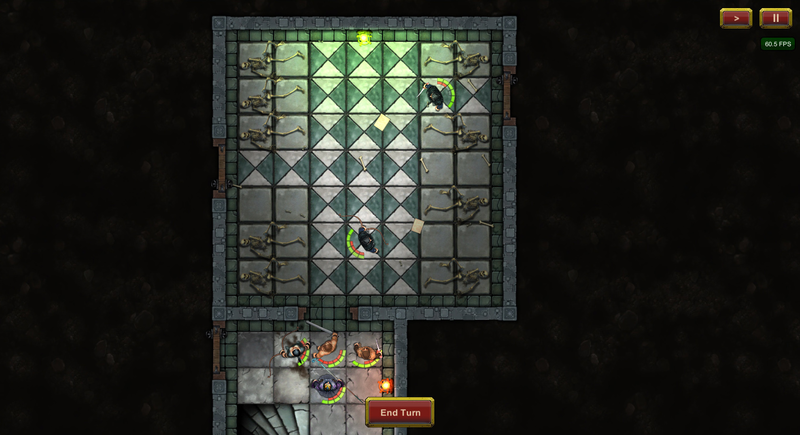 Monster's AI using different kind of group-strategies depending on the situation, and a different individual AI for each kind of monster/foe. 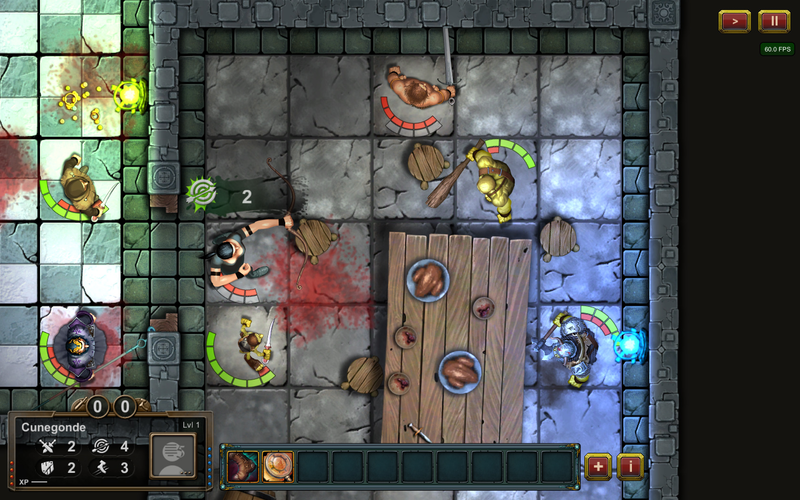 "Quest Heroes is a big game from a small developer. 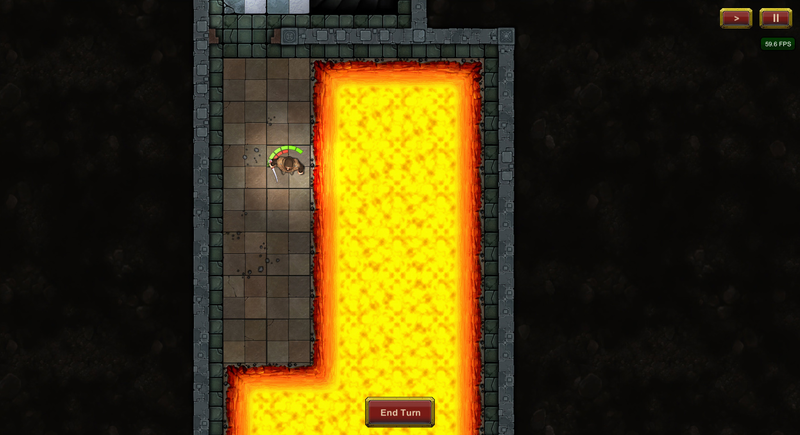 [...] it looks pretty cool and who doesn't love a good dungeon crawl?" 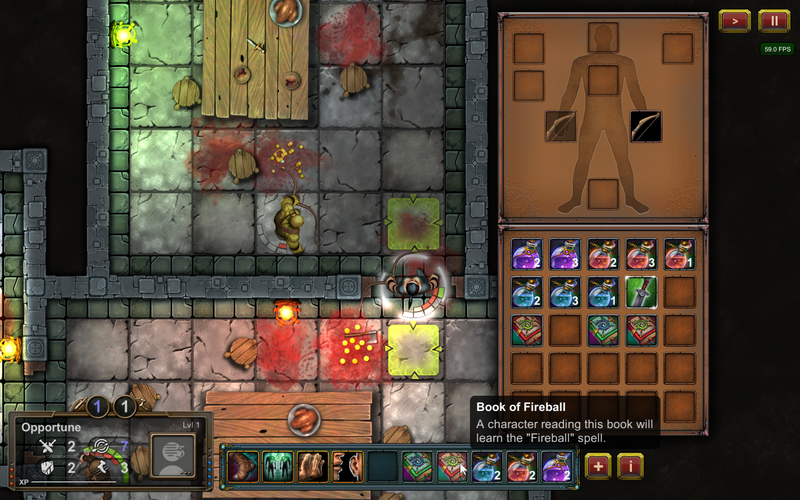 "For those of you who enjoy a little digital foray in your tabletop gaming, this is one to keep your eye on." 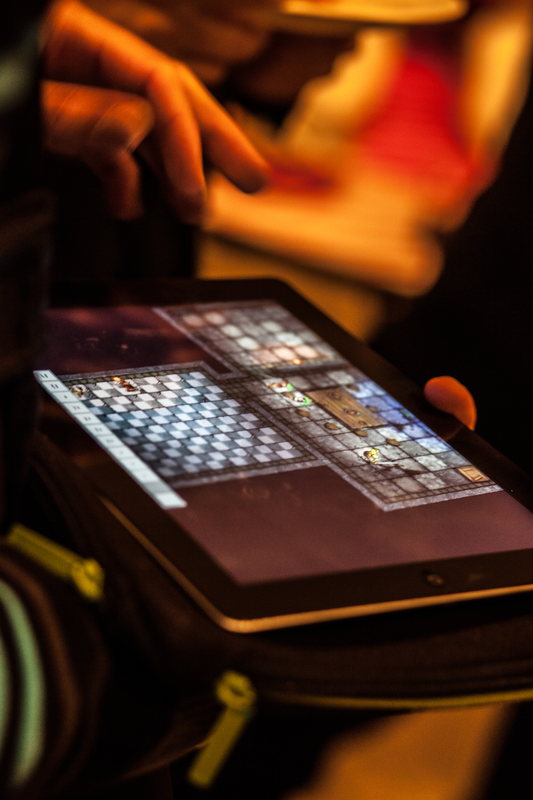 Tabletop Pixel is an independent development studio based in Tokyo, created in 2013 by Thibaut Brébant and Vincent Bonhomme (both french citizen). Since then they have been working closely with the talented artist Von Flex who has worked on different Kingdom Hearts titles. 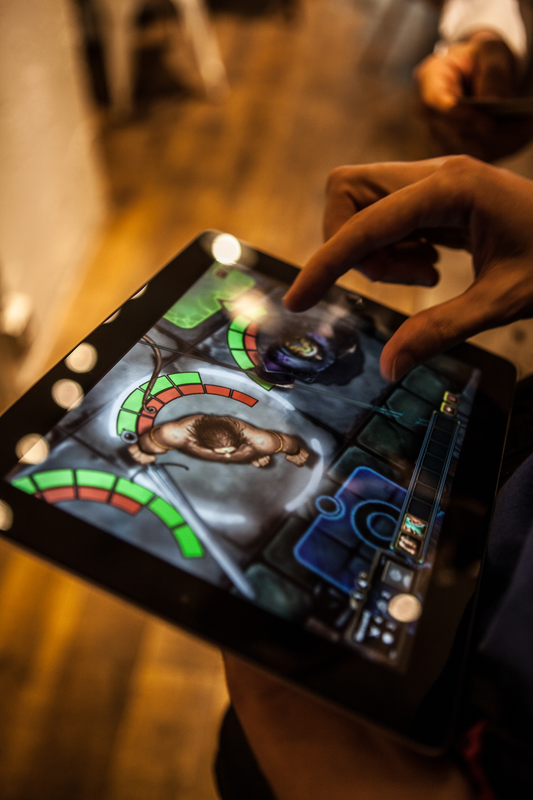 The studio is oriented toward the creation of digital board-games and retro-gaming experiences built with cool multi-platform technologies such as Unity and HTML5.